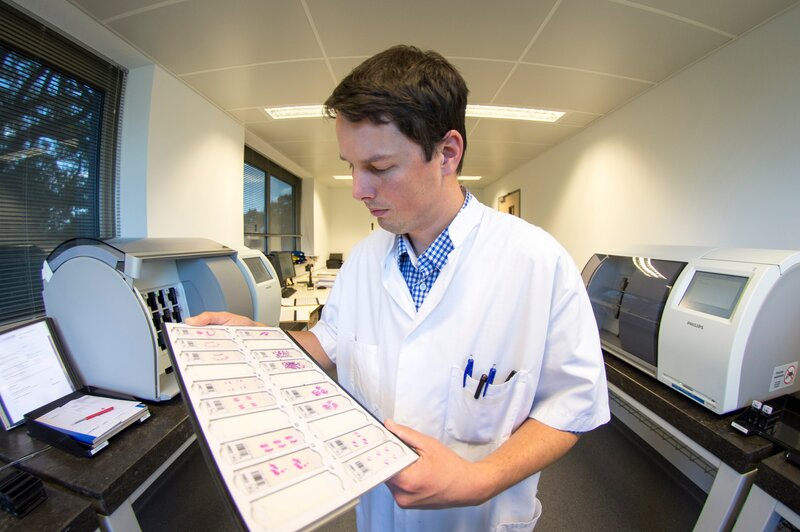 Eindhoven, The Netherlands – As the number of trained pathologists decreases while the aging population and complexity of cancer is on the rise, Royal Philips (NYSE: PHG, AEX: PHIA) today announced the growing adoption of its Digital Pathology Solutions by health systems across the globe who are enhancing their operations. Through its IntelliSite Pathology Solution¹, Philips enables health care organizations to reinvent the traditional histopathology workflow, enhance efficiency and productivity, and improve the confidence in making diagnosis. Through examination of patient tissue samples, pathology plays a crucial role in the diagnosis, management and prevention of a variety of diseases, including cancer. As health care cost and quality pressures continue to mount, digital pathology can help improve the efficiency and quality of cancer diagnostics. Several high-volume and networked pathology institutions across the world have implemented the Philips digital pathology platform, which offers an integrated approach to improve workflows, enhance collaboration capabilities to speed up consults, unify patient data and enable a flexible growth path to get more information from tumor tissue. Singapore General Hospital (SGH), the flagship hospital of the country’s public healthcare system, recently implemented the world’s largest digital pathology installation in its diagnostic laboratory. To handle its more than 50,000 pathology cases a year, SGH will leverage more than 1.6 petabytes of disk storage and 1.6 petabytes of tape archiving storage to avoid the challenges of storing glass tissue slides – like loss, breakage, degrading or manual archiving errors – and reduce the physical space needed to manage all of these records. The AZ Sint Jan in Brugge, Belgium completed a full-scale installation that is designed to accommodate full digital histopathology diagnosis. Recognizing that a short transitional process to digital would save a great deal in efficiency and costs, the lead pathologist Dr. Van den Berghe opted to avoid a gradual transitioning strategy by coordinating a full digital implementation to benefit from this new way of working. In Austria two private pathology laboratories in Hall in Tirol and St. Pölten provide diagnostic services for hospitals and private medical centers across Austria. 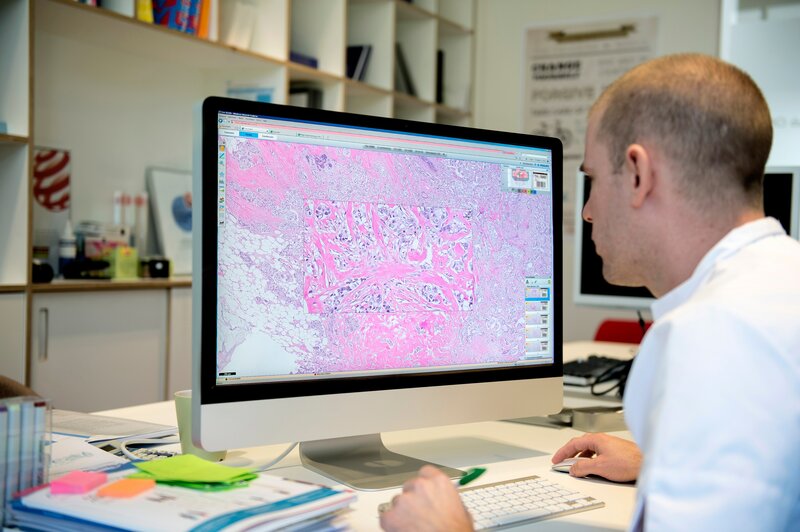 To speed up sample diagnosis and to implement interactive consultation of experts for the patients, Dr. Soleiman is creating an international network of pathologists by transitioning to an entirely digital workflow with about 200,000 histology slides per year with the Philips IntelliSite solution. The “CCS Telehealth Ostsachsen” platform is provided by a subsidiary of Dresden´s university clinic and T-Systems International. The European pilot scheme offers a broad range of possibilities in networked medical care and is intended to overcome former limitations. Incorporating digital pathology pathologists have the opportunity to analyze digitally captured tissue samples and to digitally consult a council of other specialists with the aim to improve patient diagnosis. Sheffield Teaching Hospitals (STH) NHS Foundation Trust will partner with Hull and East Yorkshire Hospitals NHS Trust to develop a service for remote digital reporting of pathology cases. By addressing the long standing problem of a shortage of histopathologists in the United Kingdom this unique collaboration for the UK enables the partners to offer their service to other hospitals in the Yorkshire and Humber region and beyond and facilitates access to subspecialised diagnostic histopathology service for all patients. The system is designed to scale should more sites and pathology laboratories join this collaboration. Across the globe, leading institutions are leveraging Philips’ experience in clinical digital transformation to help pathology laboratories make that next step in workflow improvement and accelerate knowledge sharing between care providers. ¹ Philips IntelliSite Pathology Solution is CE marked for primary diagnostics in the EU and Health Canada. In the U.S., Philips IntelliSite Pathology Solution is cleared by FDA for diagnostic use in the evaluation of HER2 expression in breast cancer and is offered for research use (RUO).